A midnight praise challenge tagged “The One-Hour Midnight Hallelujah Challenge ’’ by renowned gospel artiste , Nathaniel Bassey, has gone viral with 67, 000 and above virtual worshippers via his Instagram page on today, Wednesday. . 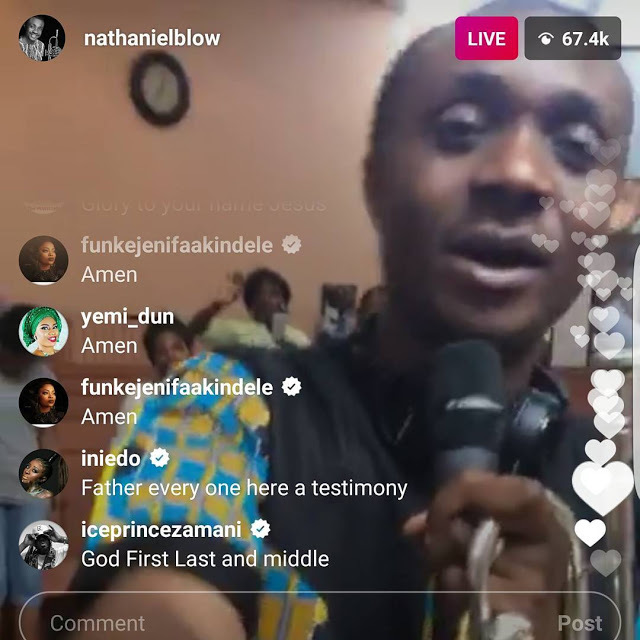 The “Onise Iyanu” crooner had on May 31 shared on his Instagram page , @nathanielblow, his desire to host a multi – denominational one- hour praise and worship live session from June 1 to June 30. According to him , the “ Hallelujah Challenge ,’ is a 30 – day midnight praise, set to lift the name of God and bring glory and salvation upon his people, as they exalt His holy name ’’.